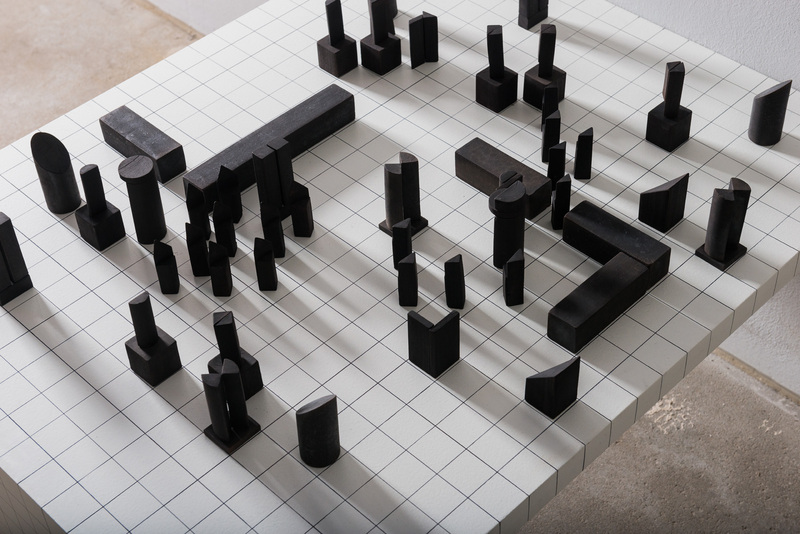 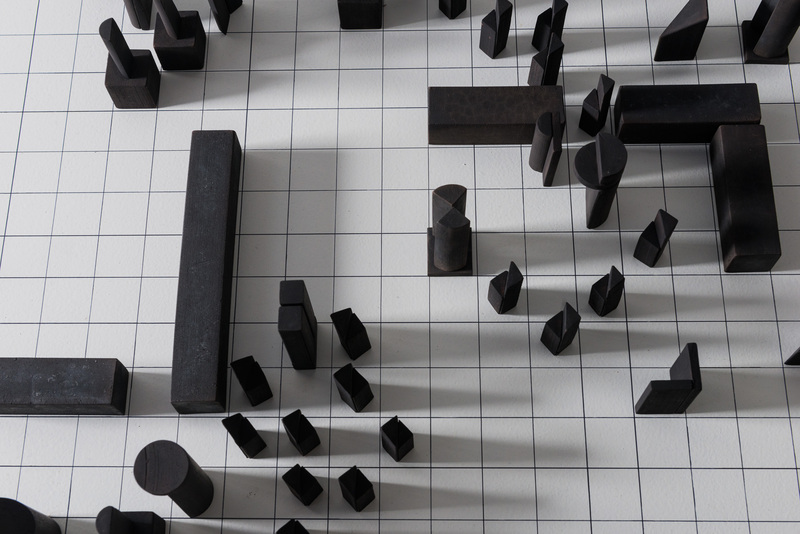 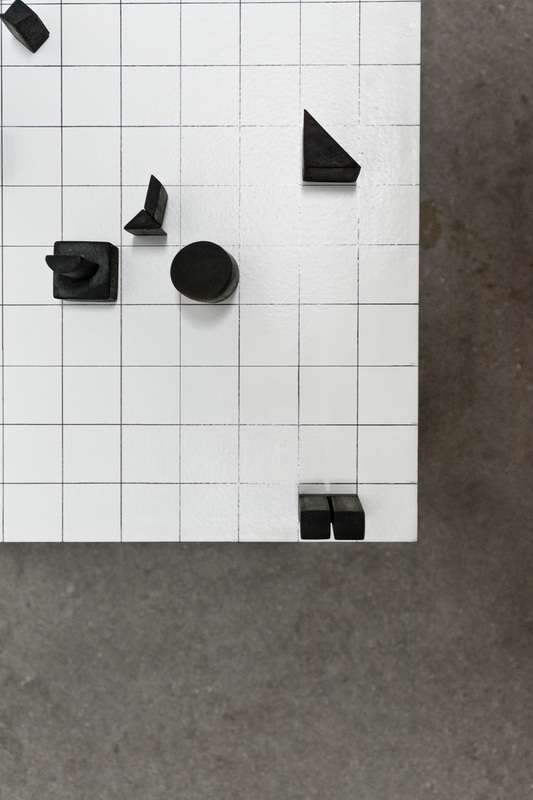 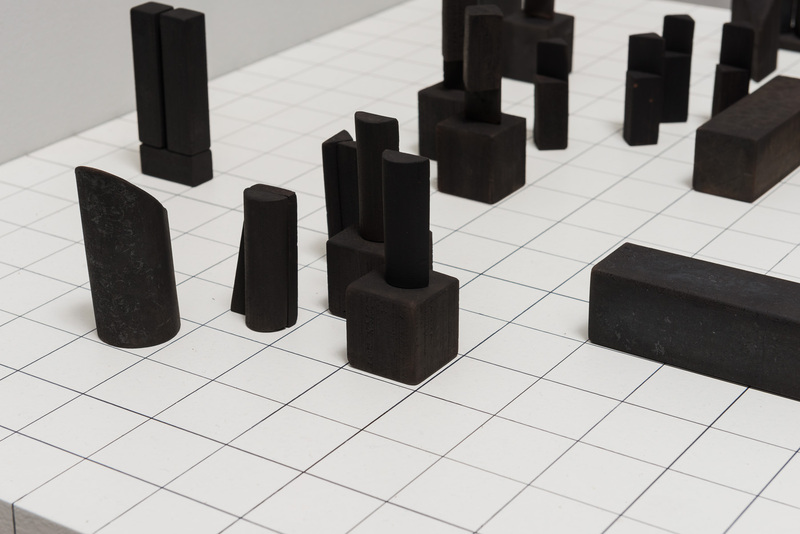 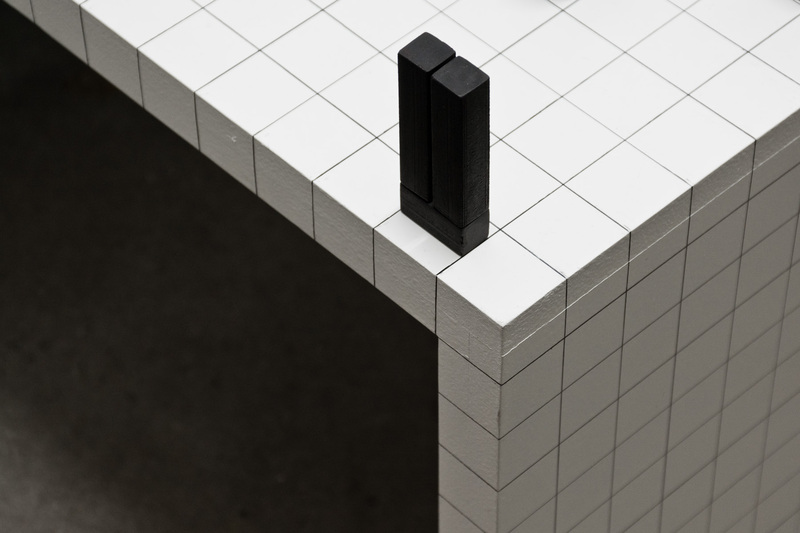 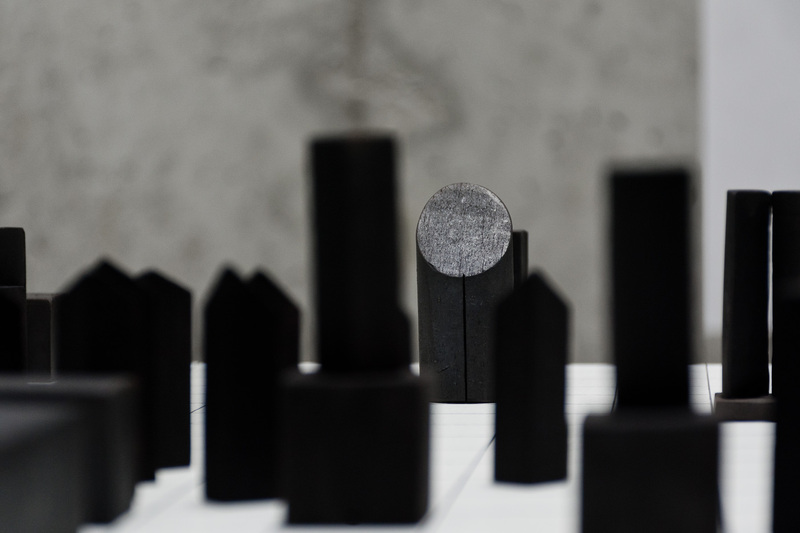 Love Enqvist’s installation for die raum is a sculptural appropriation of Guy Debord’s board game Kriegspiel. 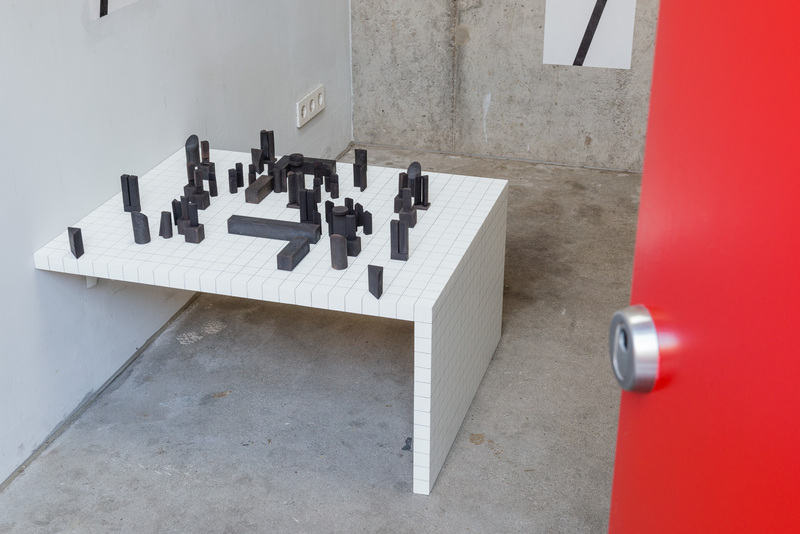 The marxist theorist and founding member of the Situationist International launched a limited edition of the game in 1977, adding to a long tradition of war games initially invented for training officers. 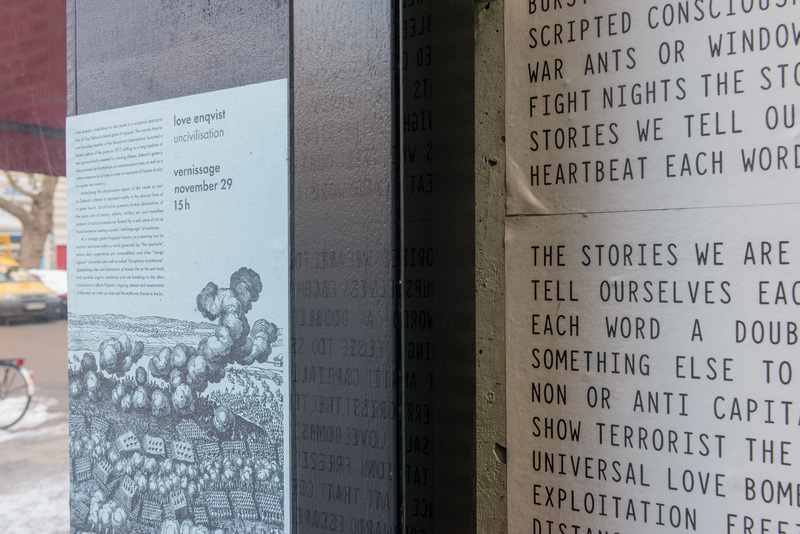 Debord’s game is characterised by its emphasis on communication lines, as well as a rather extensive list of rules in order to represent all factors at play in a given war scenario. 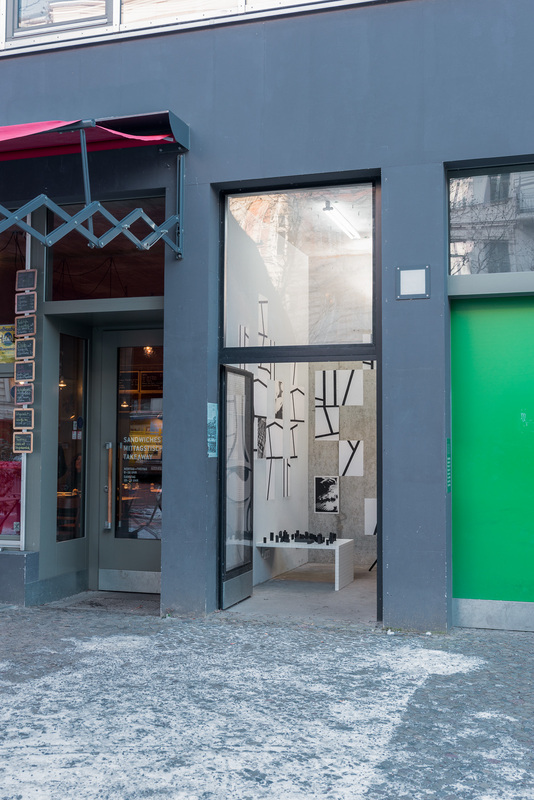 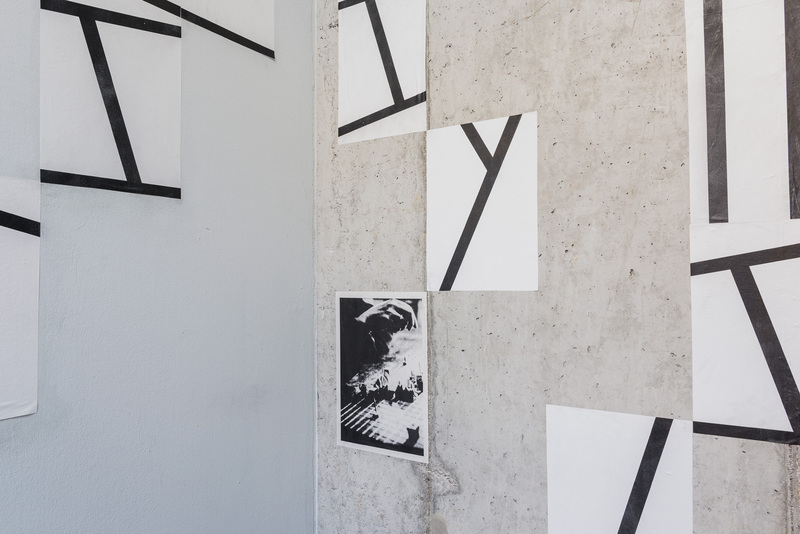 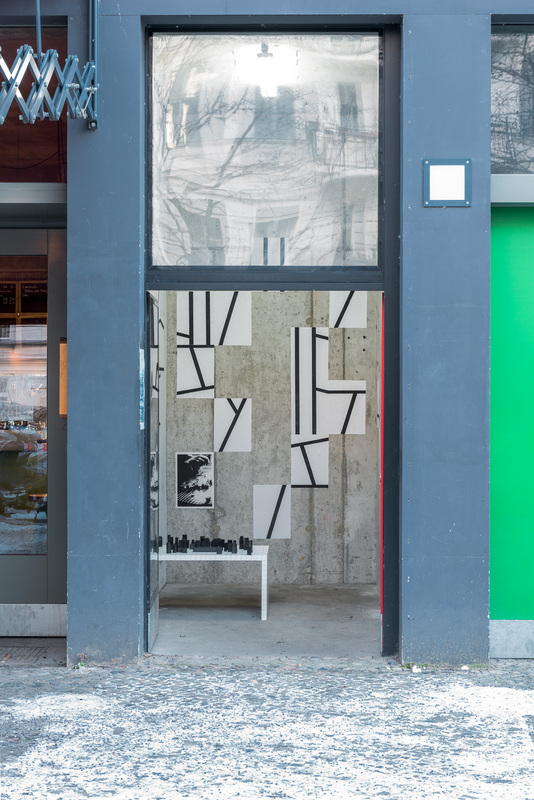 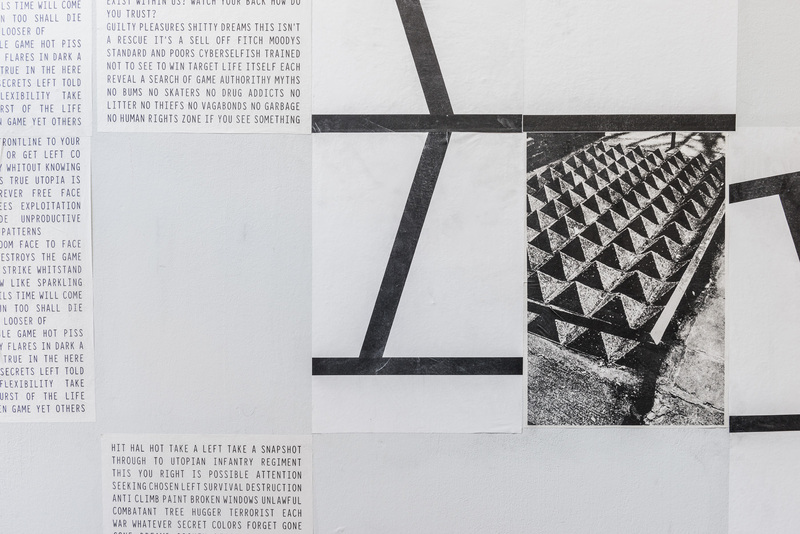 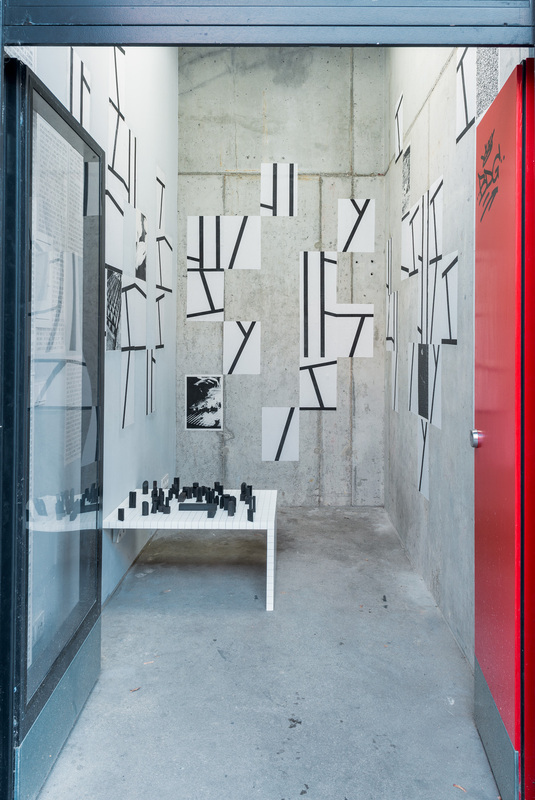 Underlining the shopwindow aspect of die raum as well as Debord’s attempt to represent reality in the abstract form of a game board, Uncivilisation presents formal abstractions of the game units of cavalry, infantry, artillery etc. 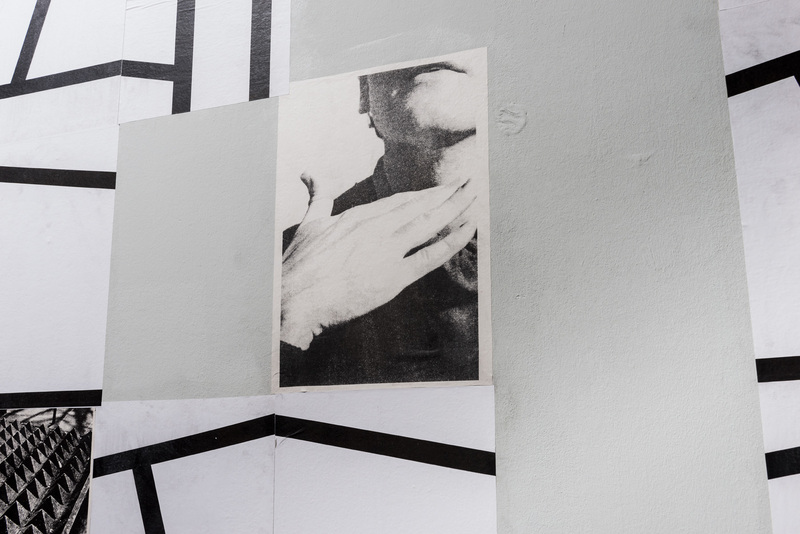 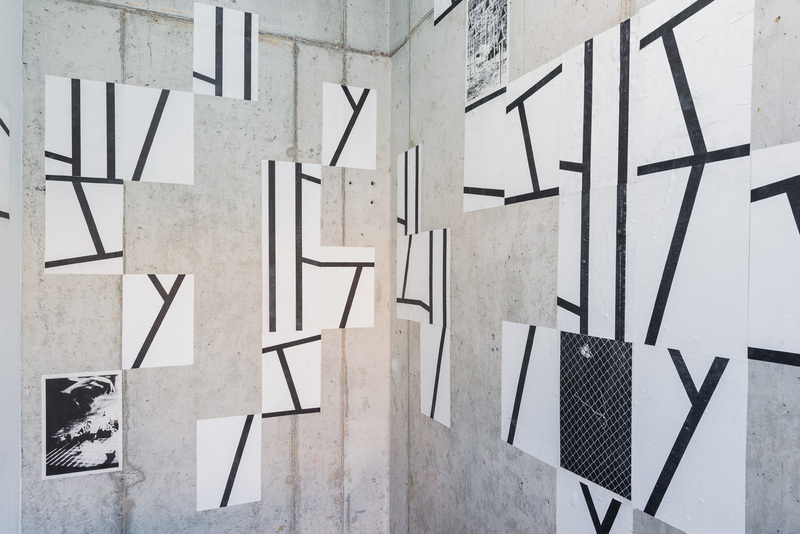 and crystalline patterns of tactical manoeuvres flanked by a wall piece of cut up found sentences creating a poetic “anti-language” of resistance. 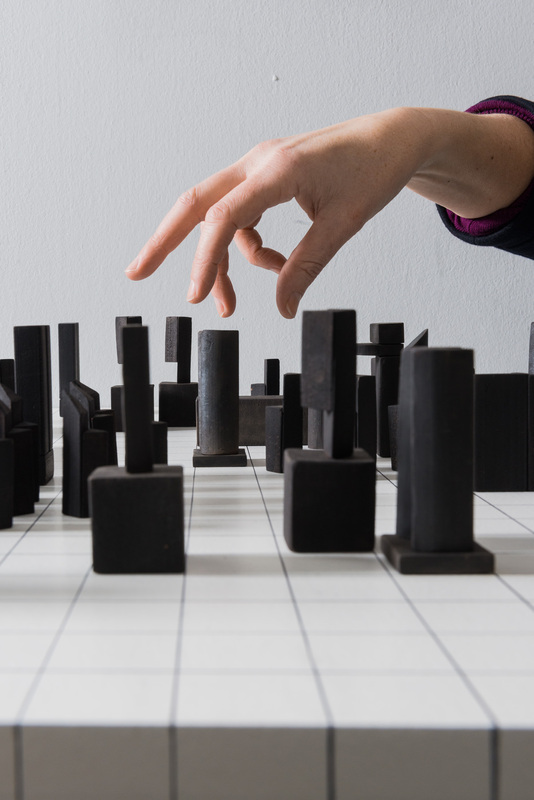 As a strategic game Kriegspiel function as a learning tool for tactical resistance within a world governed by “the spectacle”, where daily experiences are commodified, and cities “design against” unwanted users with so-called “disciplinary architecture”. 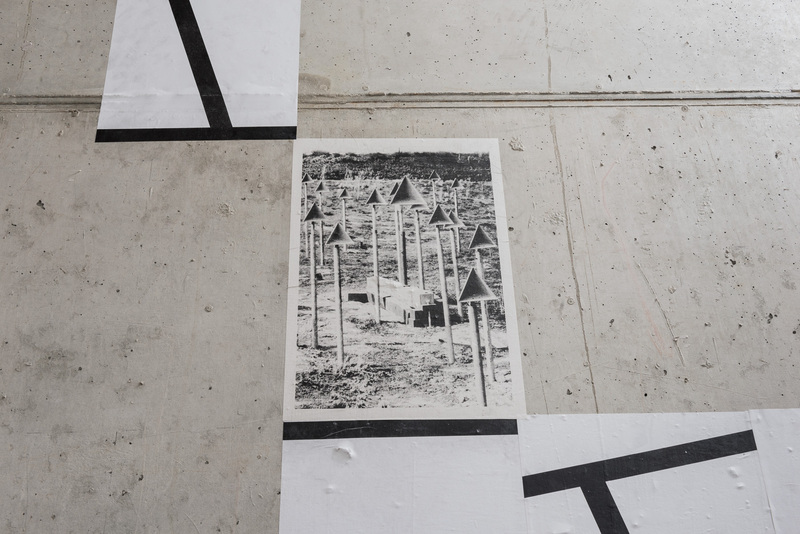 Questioning rules and abstraction of human life on the one hand, and possible organic resistance and rule breaking on the other, Uncivilisation reflects Enqvist’s ongoing interest and examination of the ways we order our lives and the myths we choose to live by.